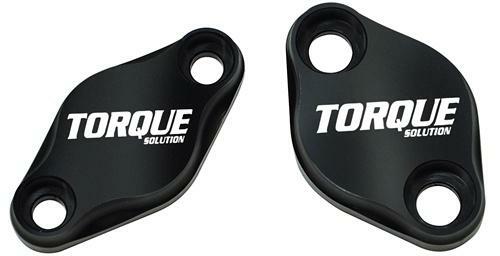 Torque Solution Air Pump Delete Plate Set - Pann Auto Performance - San Diego largest aftermarket automotive performance parts - What do you drive? For Subaru STI equipped with air pump. For use when deleting the OE air pump system on race and track cars. Includes two, sold billet aluminum plates, Anodized and Lazer Ingraved Torque Solution with stainless bolts. Prompt delivery and easy to install. Did not come with new gaskets but I was easily able to re – use the old metal gaskets.